Lucy graduated from the prestigious Eastman School of Music, New York with a Masters degree in Performance and Literature. Here she was awarded the Eileen Malone Scholarship, Eastman School of Music Performer’s Certificate and the Robert Barlow Award for Excellence in Harp Performance. Previous to this she attended the Royal Northern College of Music, where she obtained her bachelors degree with first class honours. Since her return to the UK Lucy has embarked upon an exciting and busy career as a soloist and orchestral musician. She has performed with many orchestras around the country including the London Philharmonic Orchestra, the Northern Sinfonia and the BBC Symphony Orchestra. In 2009 she was awarded a place on the Live Music Now! Scheme, and is often a guest performer on the Fred Olsen Cruise Lines. 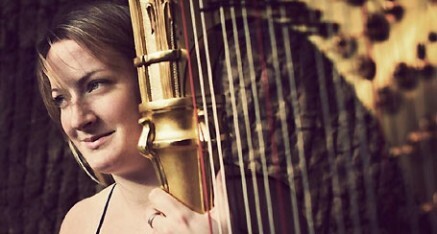 Lucy enjoys collaborating with other musicians and is a founder member of the Pelléas Trio.